The European Court of Human Rights in Strasbourg is overwhelmed with individual applications from Hungarian nationals who consider themselves abused by a pension reform that took effect a year ago with the objective of filling the state coffers. Since mid-December, the Strasbourg court said it has received nearly 8,000 individual applications against Hungary relating to the controversial changes to the pension system. The early retirement of judges and prosecutors at the age of 62 instead of 70 has been one of the latest measures of the government of Viktor Orbán, seen by critics as by a means to impose control over the judiciary. Erik Fribergh, registrar of the European Court of Human Rights, said these cases raise essentially identical issues, primarily the replacement of the applicants’ retirement pensions, which were not subject to income tax, by an allowance which is taxable at 16%. Faced with an influx of similar complaints, the court cannot process the applications in the normal manner, Fribergh said. The court therefore encourages the relevant trade unions in Hungary to resubmit applications as a class action, annexing lists of the individual applicants’ names and details, in a form which will enable it to register and process them efficiently. For the time being, the court said it would not deal with applications that are not lodged through one of the trade unions. When the court eventually issues a ruling on leading cases, it will publish its decisions on its internet site. 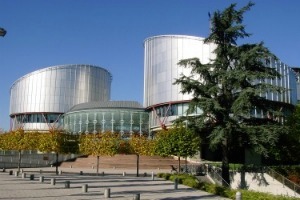 The court is an institution of the 47-nation Council of Europe. On Tuesday (17 January), the European Commission is expected to issue an infringement procedure against Hungary covering three areas: The independence of the central bank, the retirement age for judges and prosecutors, and the independence of the national data protection authority. According to the Hungarian press, the European Commission will challenge three more Hungarian laws in the near future: The early repayment scheme created for troubled foreign-currency mortgage borrowers; the stability law; and some articles in the Labour Code. EU finance ministers will meet on 24 January where to discuss whether to freeze Hungary from EU regional funding as of 2013 if it fails to trim its budget deficit. Hungary is the sole country on the Commission’s excessive deficit "caution list". In December 2010, the Hungarian Parliament voted to roll back a 1997 reform of pensions, effectively allowing the government to seize up to €10 billion in private pension assets to cut the budget deficit while avoiding austerity measures. The legislation imposed stiff penalties on Hungarians who do not transfer their pension assets back into the state system by the end of January 2011. By plugging its budget shortfall with the pension funds and new taxes on banks and mostly foreign-owned businesses, Prime Minister Viktor Orbán has promised to end years of austerity. However, the strategy has worried investors and destabilised the country economically. 24 Jan.: Commission to announce whether it will freeze cohesion funds for Hungary, as a punitive measure excessive deficit. Judges in their 60s are the ones who helped the communist dictatorship survive for decades. It is time for them to leave. May be OK with the judges, but seizing private pension assets (see Background) smacks strongly of the old communist days. One dictatorship is dead, long live another (Orban) dictatorship! ?